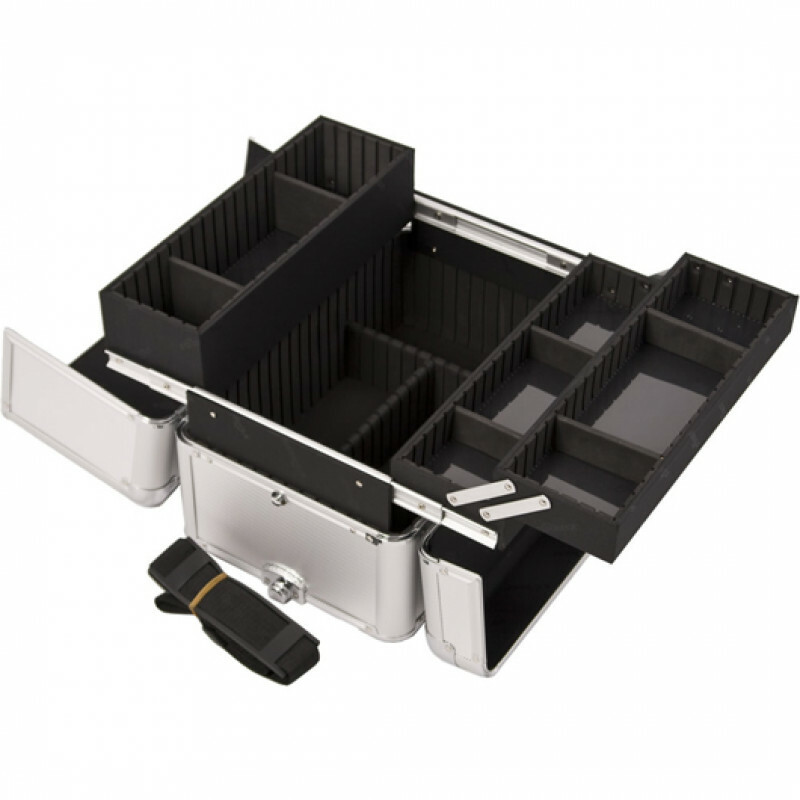 The E3302 Sunrise Silver Dot Pro Easy-Slide Trays w/ Dividers Makeup Case features spacious storage & a heat-resistant exterior. 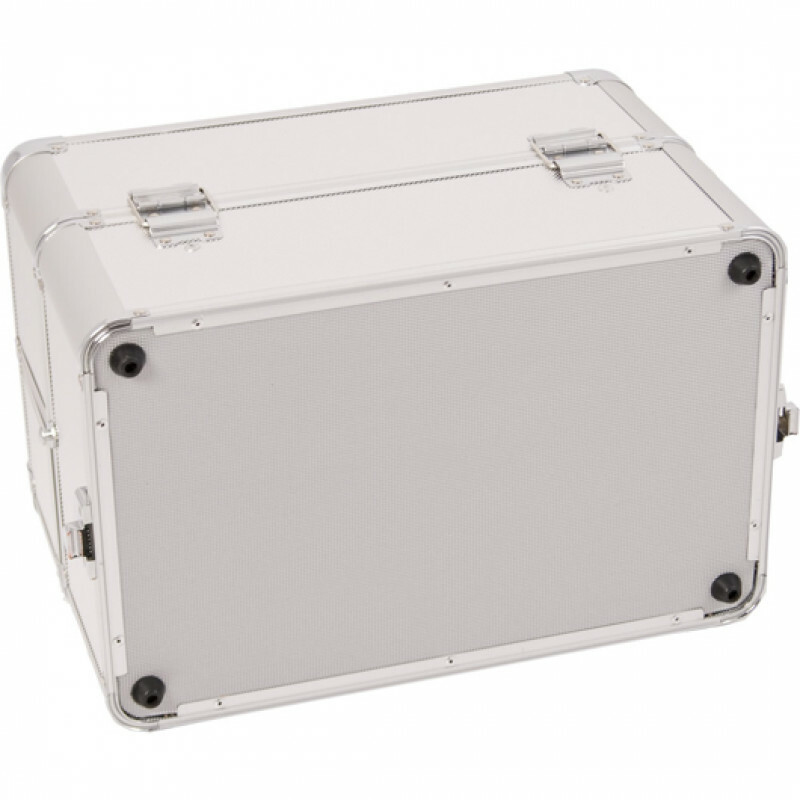 Professional makeup case is durable with reinforced steel corners. 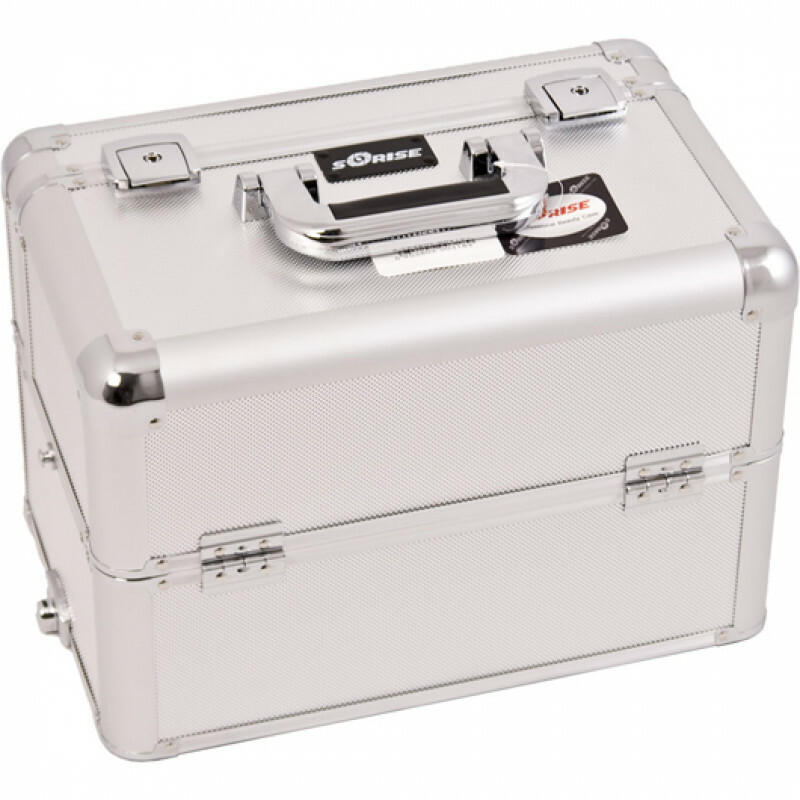 Comfortable handle and shoulder strap make it easy to bring with you. Keys & lock are included. 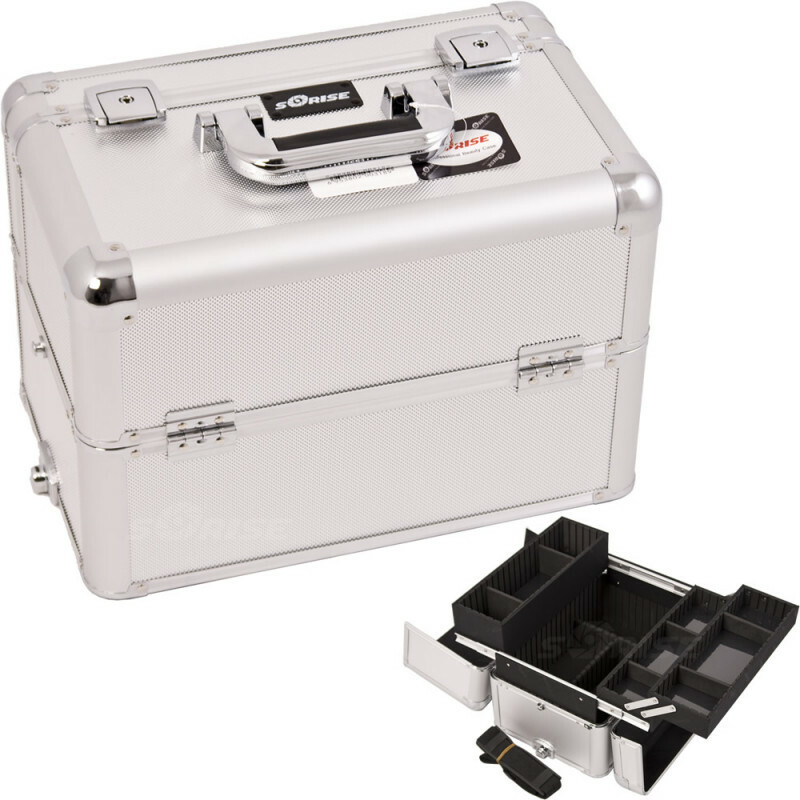 This case can be attached to any Sunrise E Series Rolling Case.